Terms: One-time payment for lifetime access. One-time payment for lifetime access. Lifetime access to the cutting edge Athlete 20XX system. Three 4-Week programs with video tutorials, workout routines and schedule. Premium support and future updates for free. We are here to help and provide you the best tools and methods to transform your body. If within 30 days of purchase you aren't happy with Athlete 20XX, we offer you a full refund. You are almost ready to start! 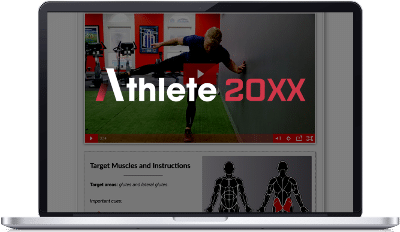 Athlete 20XX is our best program to date and we are also curious to hear about your results. If you need help with anything, don't hesitate to contact us.